Bespoke Glamping Experiences above and beyond your wildest imagination. From the valleys below to the mountains above, hills and dales, rivers and streams, wine lands and moonscapes. From lush green lawns to the bushveld, from riverbeds to desert fields...let your imagination wander. With 850 Tents and 1700 Beds we create cool spacious interiors, a home away from home, luxurious linens, soft furnishings and timeless elegance, from simple to decadent, large or small, let your imagination wander. Beautiful decor, ambient lighting, decadent dining and award winning wines, a mouth watering banquet to feast your eyes on. Alfesco lounging under the stars, an orchestra of sounds, comfy seating, warm blankets, cosy fires and magical walkways where shadows dance and play. Strategise and implement, ponder and wonder, plan and execute, extraordinary locations, peace and quiet, all inclusive. We offer over 50 activities including Team building to wine blending to white water rafting. You are only held back by your imagination. Glamping SA, your partner in delivering extra ordinary experiences. 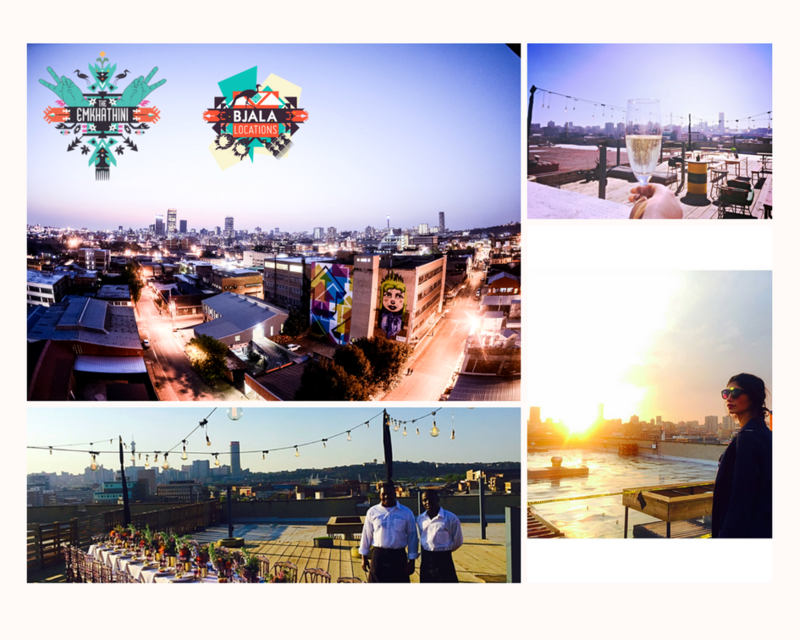 Platinum Sky is your upmarket, idyllic venue, over-looking Grayston and Rivonia roads, Sandton, on the 12th Floor of the sky scraping, Sinosteel Plaza. Neutral colours of whites, stone and grey are complemented by plush carpets, scents of wood and leather, with spectacular skyline views over Sandton placing Platinum Sky is in a league of its own. There are two sides to the venue. The Conference Boardrooms (6) with VOIP, sound, projectors and screens, then the other side is the main Auditorium. This is ideal for large conferences, launches, gala dinners, lunches, year end parties and birthdays. Some of the rooms have dividing walls to either make the rooms bigger or smaller. The boardrooms can be booked individually if you need smaller spaces for a board meeting or strategy session, exec dinners etc. RoomFive is a stylish venue built for the purpose of holding events and conferences. Each part of the business has been carefully thought through and designed accordingly. The venue is defined by beautiful charcoal walls and a large gold leaf 40m wall. Walnut wood paneled entrance walls welcome you in, with expertly plastered white ceilings and charcoal carpets throughout, accentuated by mirrored pillars and larger than life black and gold tunnel chandeliers. The furniture and reception counter, bar and sound booth finishes are white with walnut touches. The floating, interlinked 3D box decor wall is both an eye-catching feature and functional for candles or décor or product display. 30 percent of all profits from your shoot/event/conference- go to our local NPOs. We keep it cozy we keep it Jozi.